A television programmer attempts to signal into a mysterious broadcast of people being tortured and possibly murdered for entertainment. Considering this could be the future of television, Max Renn pursues the source of the broadcast slowly being brought through a series of techno-hallucinations. The film quickly escalates further and further from its original tone, eventually devolving into such a uniquely fascinating take of insanity and 80’s aesthetic horror. Director David Cronenberg has created a fair amount of bizarre films in his long run as a director, but Videodrome is Cronenberg at his most merciless. You get the impression he has something to say, but it’s drowning in one disgustingly bizarre scenario after another. Well, James Woods pulls a gun out of his own chest and goes on a murder spree. Oh, and he makes out with a tv. I think there’s a message there, but when the tv began going on a rampage, I sort of forgot thinking about it. Perfectly embodies a bizarre 80’s vibe through one of Canada’s most notoriously wicked directors, David Cronenberg. Max Renn: I want you to stay away from them. Those mondo-weirdo video guys. You know, in some countries, like Argentina, making subversive video is considered a criminal act. They execute people for it. In Pittsburgh… WHO KNOWS? It’s not necessarily SUPPOSED to make sense, and don’t assume everything you see is a halluncination, because that gives the film one of those “it was all just a dream” vibes, and that’s awful and lame. Videodrome is one of the most sampled sources in history, apparently especially among heavy metal musicians. I guess metalheads like cheesy 80’s special effects and flesh eating organisms. Makes sense to me. If you are in need of a weapon to be attached to your arm to kill a distasteful tv personality, tear your own chest open. Though Videodrome is undoubtedly silly and entirely over-the-top, there is some intriguing substance here for those who want to dive beneath the surface of the overtly bizarre. 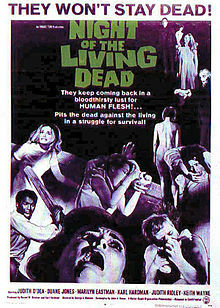 Night of the Living Dead originated the zombie craze, and George Romero is more than responsible. It’s not cheery, it’s not happy, and the ending is painfully immediate. Though there were attempts to remake and re colorize and revisit this film over the ages (basically they molested it), the original disturbing charm of the original is where it is at. The film follows a closely-knit small group of stragglers who fight amongst themselves in a zombie apocalypse. They are isolated, alone, and still manage to bicker about nonsense. As you can see, the film created zombie staples that remain to this day. Well, this first zombie film in the …Of the Dead has dated the absolute worst of them all, so for that, it’s required viewing. For it’s time, the film was intensely horrifying. Even a few murders scenes were still quite shocking for modern viewing, especially putting it in the context of the era. But really, it’s a black and white horror/zombie flick from George Romero, and the pure insanity and low-budgetry of it is impressive. It holds up terribly over time, but that’s key to a great cult film. Tom: Well… the television said that’s the right thing to do. Sheriff McClelland: Good shot! OK, he’s dead; let’s go get ‘im. That’s another one for the fire. Field Reporter: Are they slow-moving, chief? Sheriff McClelland: Yeah, they’re dead. They’re all messed up. Your very own zombie coloring book, so you can try to add some color to this lifeless movie. You thought zombies were slow? There even slower. Wait. Slloooower. Their basically crawling, their babies. Never go to the cellar in a zombie apocalypse, and killing children is okay if they are out to eat your limbs. The film deserves to stand right in the middle, as it is iconic in creating many zombie film staples, but it has also aged teribly. Though some people like that style, and that is okay to. basically, Night of the Living Dead was supposed to be serious and anything but satire, and the effects and film making made it just the opposite. And now over 40 years later, it’s got this weird mix of serious/stupid, and we still don’t really know what it’s supposed to be. This film starts out in a morgue with two doctors feeling bad because of the task assign to them . The two doctors must find out what happened to the young wopman on the table who as died. Soon the scene is one where the young woman Laura is telling the story of her life and death. We soon find out that Laura was married to the son of a doctor and this is no happy marriage. Ward her husband wants out and his father is willing to help. Laura tells us that she was held against her will while the doctor and his son attempted to drive her mad or scared her to death. Entered into the story is an ex detective whose awaiting a murder to redeem himself, a noisy housemaid , a reporter with his brainless girlfriend and the creepy hyptonist with his dwarf friend who know a secret. As the movie moves along we learn that Laura may have been married before and betrayed her first husband to the Nazi’s. Is it her new husband and his father trying to scare her to death or the spirit of her first husband come back from the dead? Even though the script is horrific. One shouldn’t miss Scared to Death for the movie is fun. I mean where else can you find so many sany characters under one roof. No one is trying for an Oscar in this movie so all you get is a bunch of actors just attempting to remember there lines. The great part is that you get to watch as they try to finish this movie. I couldn’t even figure out what the dwarf’s name was the detective keeps calling him Indigo while Lugosi calls hom Ingo. There is also a great scene where Indigo or Inigo stomps the detective foot which is straight out of the three stooges. 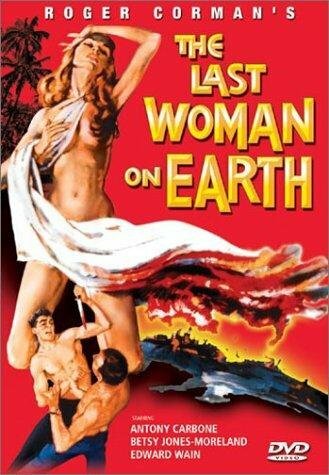 The movie was released in 1947 post WWll hence the reference to the Nazi’s. The women in the movie are typicall women of movies from this era helpless with know direction. 1. “Pardon me, Professor, but didn’t I just see you outside baying at the moon. 2.The scene where the maid attempts to announce the arrival of Leonide. He tells her. My dear girl, if I allowed myself to be announced, I doubt I would be recieved anywhere. You will need a foley implanted in your bladder if you plan to watch this movie on some late night movie channel and not on dvd. You need the foley for if you get up to go to the restroom you’ll miss some thing and be totally confused. Beyond confused you’ll miss good laugh scenes. Oh, don’t forget your 3D glasses. No, the films not in 3D but you might want them for the blue or green mask collage that keeps appearing. And don’t forget earplugs to drown out the spooky music that comes for no reason. One of only three films in color Bela Lugosi ever appeared in. 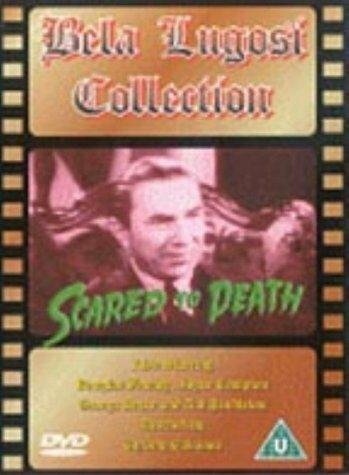 In fact, Scared to Death, which was filmed in Cinecolor is the only color film in which Bela Lugosi was the star. 1. Never knew a doctor could listen to your heart and discover you were hypnotised. 2. This film will encourage you to stop drinking or find a new group of friends after you witness poor Wards fate of an unplanned marriage after to much partying. 3. Never let a creepy guy and a dwarf who are dressed alike enter your home you just know troubles coming. 4. Only time I’ve ever witnessed someone look at a BW photo and still figure out colors in the photo. I give Scared to Death a five for it’s a movie that attemps to hold on to what it set out to be. 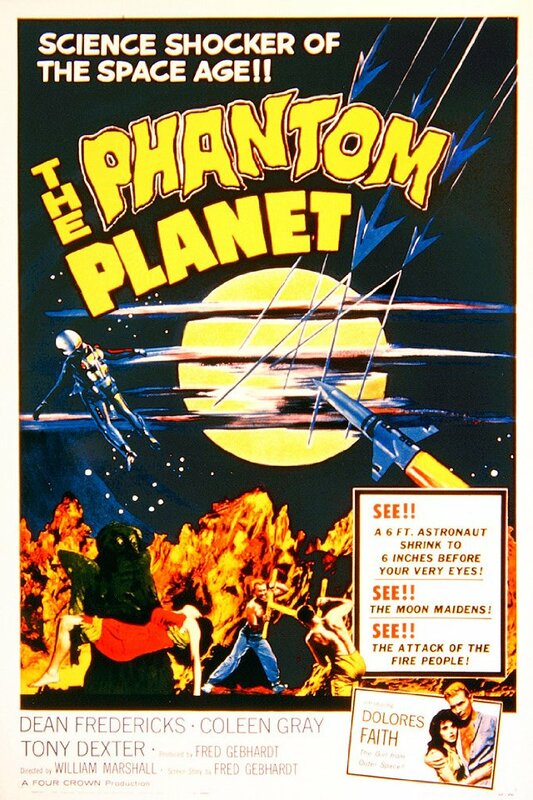 A great cheesy B- movie and that folks is just what it is. There no over acting for the actors in this movie for theres no real script in the first place. But like I said everyone tries and thats what makes a great movie. I liked every line by this writer. My friends forced me to watch this. I love the way it is directed.